Alphabet isn’t the only company around though. Amazon and Toyota have also been investing in AI and robotics. Combined, they have spent billions of dollars on the industry. It’s possible that one of these two companies might buy Boston Dynamics from Alphabet. Although the fear that commercially available humanoid robots might take away many jobs has some legitimacy, we should still be rooting for these companies to find non-military applications of new technology. 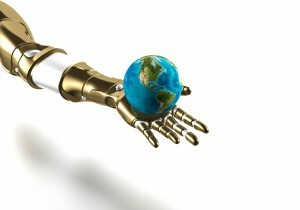 Besides, robots will also create new jobs for technicians and programmers who can maintain and run them. In a video that went viral, Boston Dynamics showed the incredible capabilities of one of their robots. The robot is shown performing tasks like lifting boxes and placing them on shelves. The robot is also able to remain upright while walking on uneven terrain and to pick itself up if it is knocked over. The video is uploaded under Boston Dynamics Youtube channel. These robots already seem capable of helping out in a warehouse or doing simple menial tasks. One could easily imagine them being used to help disabled people with everyday tasks or working in hostile environments like warehouses full of dangerous materials. Whether or not you like the idea of humanoid robots, AI and robotics and are probably not going to disappear anytime soon. Boston Dynamics has shown what we are capable of now, and they have invited us to dream about what robotics technology might accomplish in the future. It’s sad to see Google dropping them, but hopefully this won’t be the last we hear from this innovative company.